“Once you run your first marathon, you are a different person,” said Kathrine Switzer, running icon, founder of 261 Fearless and my friend. I thought of those words today knowing the 2019 Boston Marathon is happening on Monday and jealous it has been two years since I ran, enjoyed and completed my goal. As I thought back to the nerves leading up to the race, I wasn’t 100% confident I could complete it because I had bronchitis twice training for the event and never trained past 13.1 miles. A marathon is 26.2 miles. 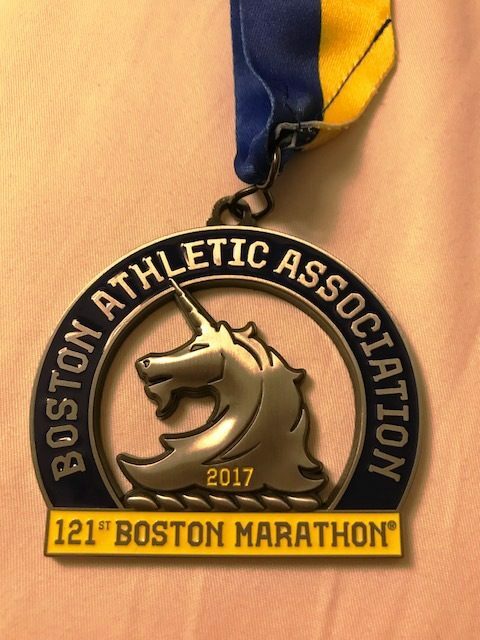 Could I double my longest difference and complete the race in less than 6 hours to have the gold medal hang from my neck proving I was a marathoner? I honestly didn’t know; but I sure was determined to do everything in my power to finish the race even if someone had to drag me across the finish line if I stumbled with the finish line in sight! I also knew I couldn’t complete the race without prayers to God and Mother Mary to support me on my journey. I wore my rosary bead bracelet around my wrist and a favorite bible verse, from my beloved aunt, tucked in my running skirt. I stopped inside a church to ask for God’s blessings and to be with me during the 26.2 mile journey. 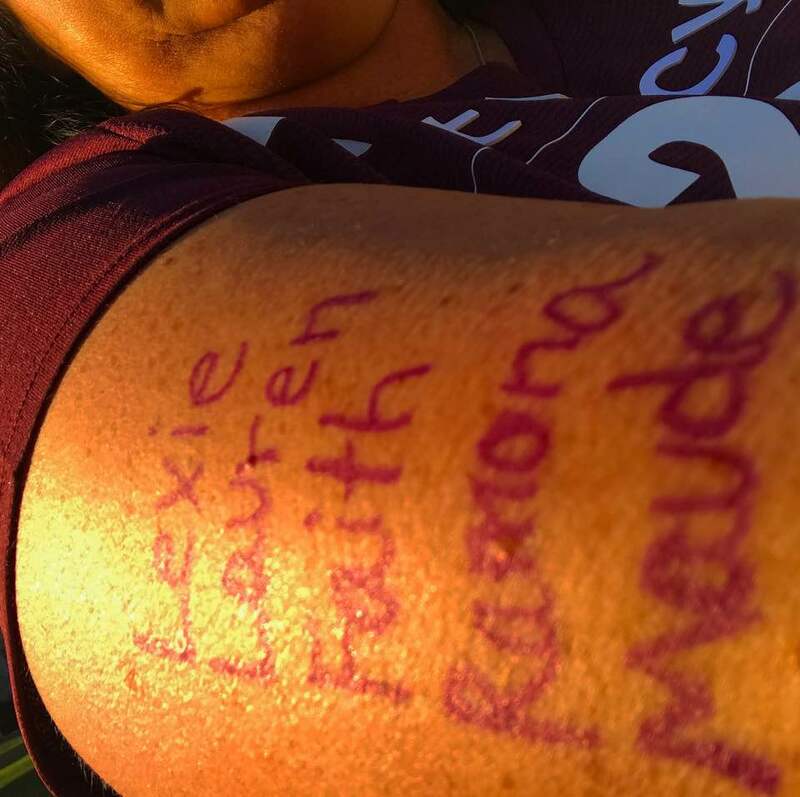 Written on my arm in purple ink were the name of my five nieces – Lexie, Lauren, Faith, Ramona, and Maude – to show the girls if I could run the Boston Marathon they could do anything themselves. Carrying them with me on my arm and in my heart carried me at times when the hills were steep and long. An important part of running a marathon is fueling your body perfectly to get you through. This was a vital part of marathon training I learned. So the day before the race, I stopped at a restaurant to have a small pizza and salad. 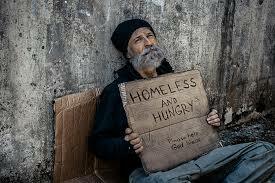 I was taking the leftovers back to my hotel room in case I needed a late night snack, when I saw a homeless man digging through the trash can for food. I instinctively stopped and gave him my bag of food. He needed it more than me. He blessed me as I walked away. I have often thought perhaps his blessing was the most important one. As my friend Dawn and I waited at the start line for our heat to start running, we said a prayer to God, hugged each other and started our historic first time journey. Fueled by faith right up to the last minute before the gun went off, I was confident I could and would finish the race with training, faith and God on my side. 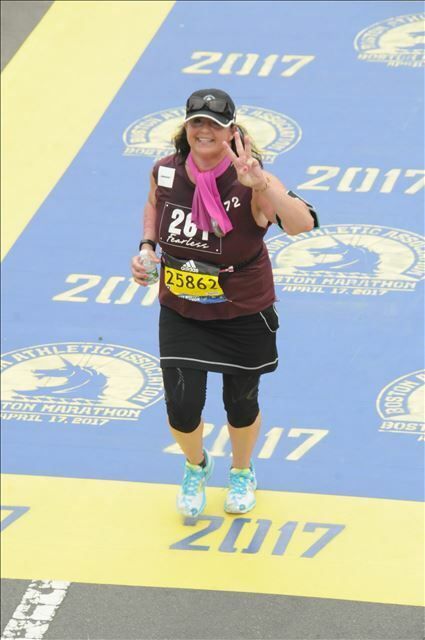 I happily crossed the 2017 Boston Marathon in 5 hours 56 minutes and 58 seconds accomplishing my goal. 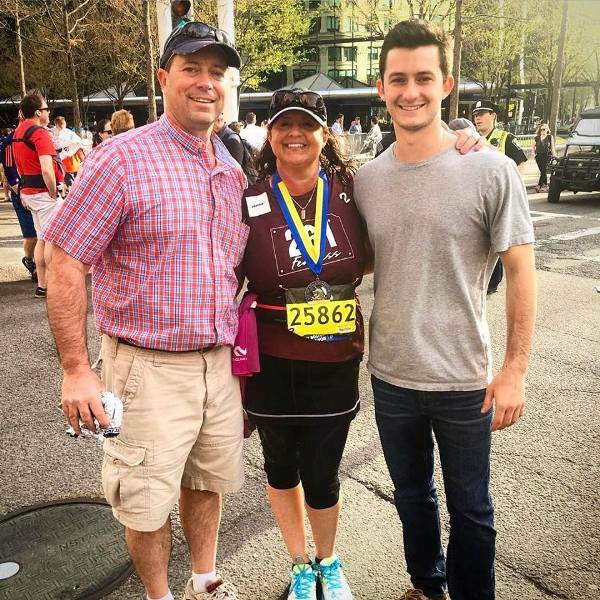 Throughout the fan-filled iconic streets of Boston, I walked and ran, took in the beauty of the day and love from the crowds, thought of the people who donated $8,000 to my charity bib, and thanked God for being with me every step of the way. Faith was an essential element to my success that day.